Clean air ventilation in the home and business is often overlooked. However, good ventilation is one of the easiest ways to ensure clean air. For that reason, I recommend that you invest in a roof ventilation system to increase the quality of clean air in your home. Unsavory issues arise when new homeowners overlook this important airflow in their homes. To avoid the damage and unpleasantness of bad air and for a more eco-friendly environment, read on to learn what you need to know about air ventilation. The first benefit of effective home ventilation is its ability to remove excess moisture and condensation from your home interior. It is a common sight to see moisture forming on windows when warm air interacts with cooler surfaces. However, a build-up of moisture causes a variety of unpleasant problems such as mold and peeling wallpaper. No one wants to experience damage from the black mold that accumulates. It’s very expensive to repair and causes health problems that include serious allergic reactions. In these instances, an ounce of prevention is worth a pound of cure. It simply isn’t necessary to let moisture deteriorate and devalue your home when a good ventilation system helps prevent this from happening. One of the best benefits of ventilation is that it removes impurities from the air inside of your home. Everyone has been in a home or office that was “stuffy”. You may have even felt lightheaded or felt a mild headache after being there. There are many reasons why the air inside your home might have impurities. Some impurities occur consistently in any building, such as mold, pet dander, dust mites, gas fumes, and other chemicals. Ventilation allows fresh air to flow in and impure air to flow out. Good ventilation plays a significant role in regulating the ambient room temperature. Especially if you have a large family, more people within a space makes for a stuffy environment. For the comfort of your household, it’s up to you to ensure that air flows easily throughout every room of the house. This will help keep your room temperature easier to regulate for lower energy use. But, best of all, it ensures more fresh, clean air for everyone. 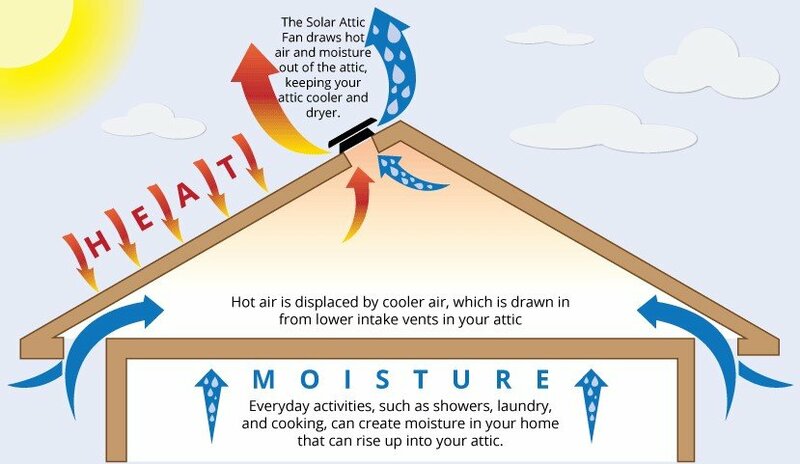 Now that you know some of the benefits of great ventilation in your home, check your current system to see if there are areas for improvement. Because there are many forms of ventilation, continue to do your research to find the right system for your purposes because it is a good strategy that ensures healthy clean air for you, your family, and guests for years to come.